Driving down Coast Highway in Carlsbad, you might come upon a crowd of people at a European-looking building, all waiting in lines at the self-serve kiosks. What are they waiting for? For alkaline water. People who have been drinking alkaline water have claimed health benefits for hundreds of years. Owner Ludvik Grigoras says that this mineral water (with a pH of 8.76) can help people with chronic diseases, migraines, arthritis, skin problems, heartburn, and weight issues. Besides drinking it cold, customers also use it for cooking, making hot drinks, and even as a body spray. This water has been constantly running from the Cleveland National Forest to the Pacific Ocean, 1,700 feet underground for 9,500 years. Over the course of its travels from the mountains to the ocean, it transforms into a crisp, delicious water that people drive as far as San Jose, Phoenix, and Ensenada for. 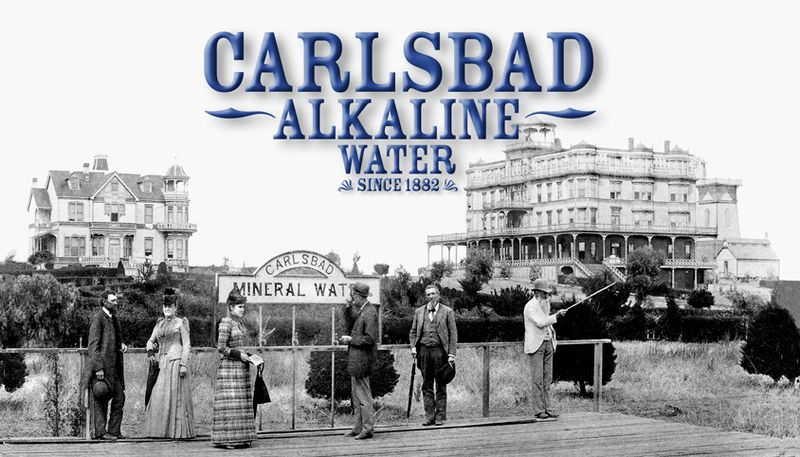 Carlsbad Mineral Water was discovered in 1882 by Capt. John Frazier when he drilled a well for his farm near the beach. The alkaline mineral water cured a stomach ailment from which the captain had suffered for years. Intrigued, he sent samples of the water to two independent testing laboratories in New York and Chicago. The results showed his water was chemically very similar to the healing spring mineral waters found in a famous European spa resort that was at that time called Carlsbad, in Bohemia. Capt. Frazier plotted his farm for a city that he would call Carlsbad. He also started bottling his water and selling it across the nation Carlsbad Mineral Water. 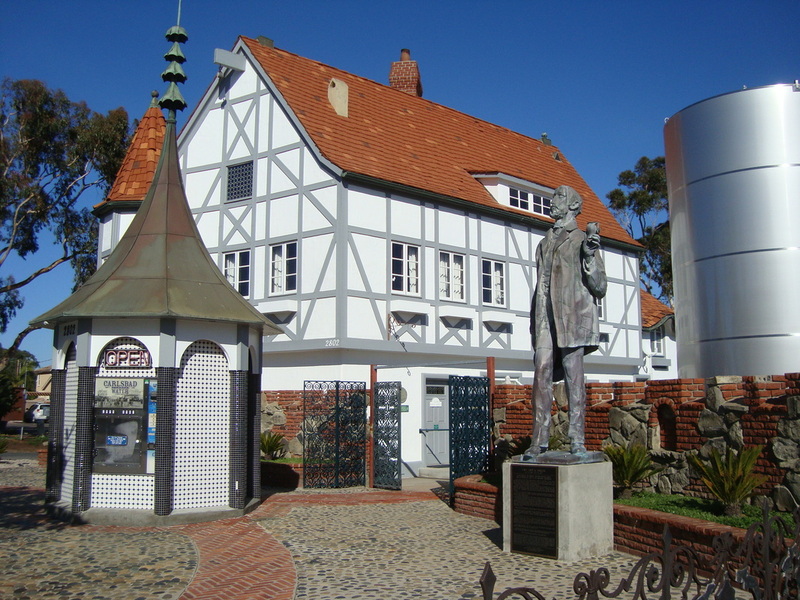 He built a huge Victorian hotel beside his original well, and people came from all over the world to enjoy the alkaline mineral water for drinking and for bathing, just as they would if they were in the European Carlsbad. Carlsbad Alkaline mineral water remained popular until the Great Depression when the well was abandoned due to lack of funds for maintenance. The well was not rediscovered until 1955 when residents, Kay & “Chris” Christiansen learned about the history of Carlsbad Mineral Water. The Christiansens wanted to restore the well and revive the mineral-water business but were unable to do until 1991 when Kay met Ludvik & Veronica Grigoras, who became interested in helping her with her dream. Incredibly, Ludvik had been born in Karlovy Vary, formerly Carlsbad in Bohemia, the city which Capt. John Frazier had named the north county city after. After years of working at the well, the waters were ready to be enjoyed. In 1996, the once famous therapeutic Carlsbad Alkaline Water, ­after an absence of 60 years, ­once again became available to the public. The Carlsbad Alkaline Water sells the mineral water for 60 cents per gallon. Four self-serve kiosks are open 24 hours every day. Sales reps are available to sell containers and dispensers from 9 a.m. to 5 p.m. Mondays through Fridays, and noon to 5 p.m. on the weekends. Home delivery is also available. Also on site is a spa offering a variety of spa packages with or without the famous therapeutic alkaline carbonated mineral baths. Each treatment is done in a private theme treatment room with private restroom, reserved from beginning to the end of each appointment.